Paul Tei can’t imagine his life without cats. The actor, director and founder of Mad Cat Theatre Company currently lives with Derby and Julep, feline siblings he calls “precious gifts.” But his first cat, Belly, holds a special place in his heart. 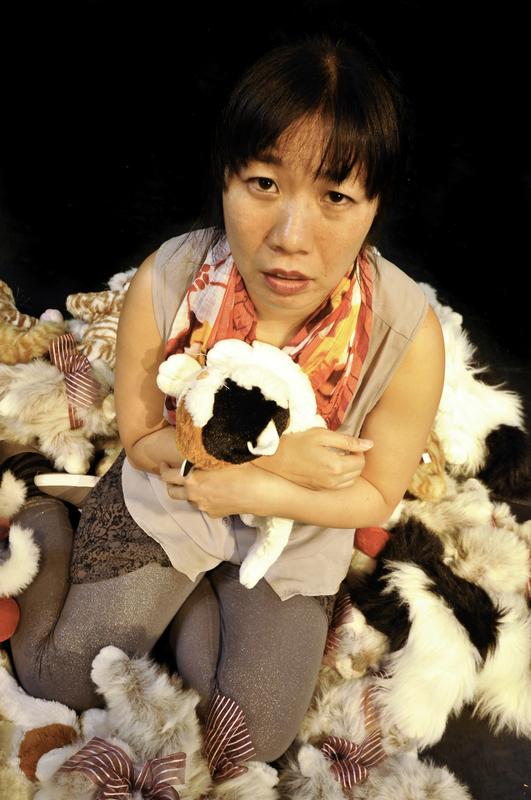 While Tei’s cat Belly inspired his theatre company, Kristina Wong’s cat Oliver inspired her play, Cat Lady, which is Mad Cat’s current production. 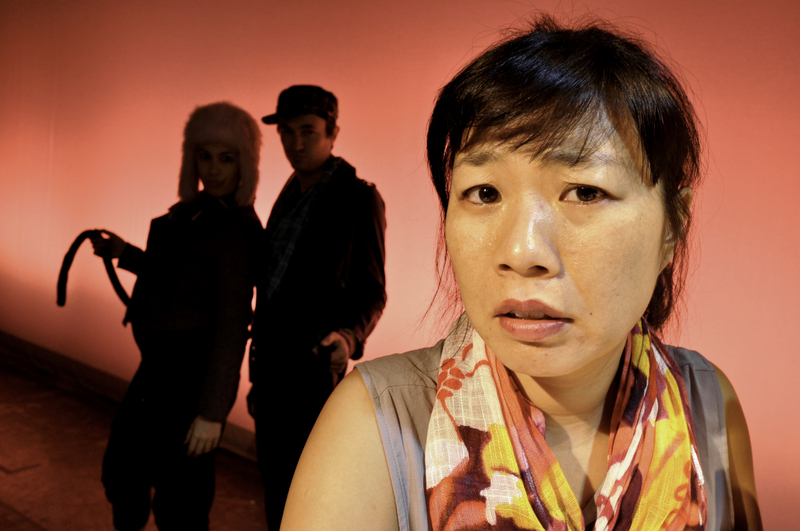 In Cat Lady, Wong plays a herself and Ken Clement plays her cat, Oliver. Cat Lady involves two seemingly unrelated subjects: Wong’s efforts to get Oliver to stop spraying and the sub-culture of pick-up artists, men who turn picking up women into a sport. “I had no idea how these two ideas were going to manifest in one show, but the way I see it, if they are two points of obsession in the same brain, there would be a way to connect them theatrically,” Wong says. At the time, Wong was experiencing a great deal of professional success with her solo show, Wong Flew Over the Cuckoo’s Nest, a show about suicide and depression among Asian American women, in which she played a character named after herself. But as successful as she and the show became, Wong started to feel trapped in the fulfillment of her dream, worried that the show was preventing her from moving forward in her personal life, depressed that no future show could top her success. Enter the pick-up artists. Wong became fascinated by the subculture after watching the VH1 show “The Pick-up Artist” and befriending some of the eliminated contestants. Wong experienced a taste of that world when a Korean American pick-up artist picked her up at South Beach club in 2008. After 23 drafts, several bad relationships and a weekend interviewing pick-up artists, Wong had an epiphany. 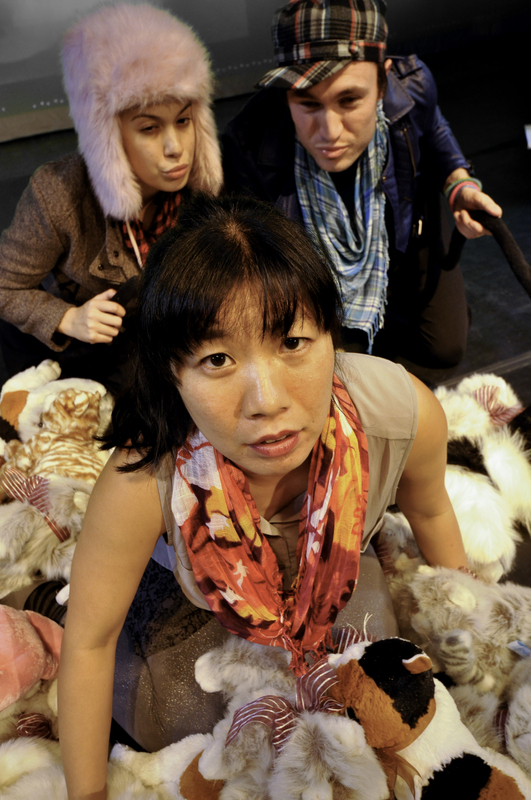 This is the second Wong show produced by Mad Cat; her eco-conscious solo show Going Green the Wong Way was seen in Miami in 2011. For Tei, Cat Lady was a natural follow-up. Sadly, Wong’s cat Oliver died earlier this year. Cat Lady runs through January 20 at The Light Box at the Goldman Warehouse, 404 NW 26 St., Wynwood Arts District, Miami. For tickets and more information, call 866-811-4111 or visit MadCatTheatre.org.